Online retailers and third-party sellers who use large platform marketplaces like Amazon and eBay must pay close attention as government officials, industry players, and various interest groups clash over the imposition and collection of taxes in California. In June 2018, the Supreme Court of the United States decided South Dakota v. Wayfair, Inc. In Wayfair, SCOTUS considered whether a state could collect taxes from a seller who lacks an in-state presence under the principles of the Commerce Clause. 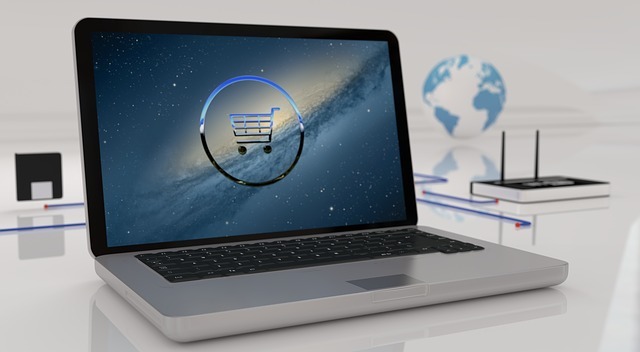 The Court determined that, considering the marketing and distribution functions of today’s economy, allowing states to collect taxes only from those sellers that have an in-state presence is outdated and does not correspond with modern day e-commerce. Based on Wayfair, many states have begun collecting sales and use taxes on e-commerce transactions that have some connection to their state, even if the seller is not incorporated or physically located in that state. Following the Wayfair decision, it was presumed that the online retailer marketplaces would be responsible for tracking data from purchasers and collecting the sales tax based on where purchasers are located. However, since the Supreme Court’s decision, states have responded by initiating their own, widely varying practices. In California, tax enforcement is the responsibility of the California Department of Tax and Fee Administration (“CDTFA”). The CDTFA has been aggressive in the post-Wayfair period, but surprisingly its actions have not been targeted largely at the major online e-commerce retailers. Instead, California has been pursuing the individual third-party resellers who list products on websites like Amazon and eBay. CDTFA has threatened (and in some instances charged) these predominantly small businesses with claims for back taxes, as well as fines and penalty for nonpayment. California’s approach to this matter affects a huge portion of the American e-commerce industry, because a vast majority of American third-party sellers’ businesses cross state lines into California. Many e-commerce resellers purchase goods from manufacturers or bargain resale websites throughout China and Asia. Once the third-party seller buys the product, it is often shipped to a warehouse California where it is held until it is repurchased. California appears to be taking the position that all of these sales are subject to California sales taxes, even if the reseller is located in another state and the purchaser is also located outside California. The CDTFA’s aggressive actions have resulted in push-back from numerous industry groups, and recently that has expanded to include California’s own Treasurer. In a recent letter dated March 8, 2019, Fiona Ma, Treasurer for the State of California, submitted a letter to the Governor of California demanding that the CDTFA cease any prospective or retroactive pursuit of sales tax from third-party resellers. Treasurer Ma’s letter, which has been made publicly available states that because online retailers essentially step into the shoes of third-party sellers, they are exclusively qualified to collect and remit sales tax to the state. In support of this contention, she points out that these online platform marketplaces maintain significant control over customer information, marketing, customer disputes, and return policies, as well as the storage, packaging, process of payment, logistics and delivery of the products. In addition, the customers that purchase a third-party seller’s goods from these online retailers are bound by a contract with the online retailer, not the third-party seller. Despite the fact that third-party sellers do not direct their inventory to California and are often never told that their product will end up in California, the CDTFA claims that third-party sellers, rather than the online retailers, are retailers under state law and thus responsible to collect and remit sales tax to California. In an attempt to collect on these taxes, the CDTFA has issued threats of audit to many small businesses in California, claiming these businesses owe eight (8) years of back taxes and, at times, threatening felony prosecution and imprisonment. Treasure Ma criticizes this approach by the CDTFA as an unlawful and unconstitutional disregard for the plain language of California law, which is causing many third-party sellers to lose their businesses and face bankruptcy. She further claims that because thirty-eight percent (38%) of third-party sellers are in China, enforcement is often impractical and beyond the reach of the CDTFA. She concludes her letter to the Governor with a reminder that, in the spirit of California’s state laws, public polices, and values, the government must not only protect small businesses, but also the integrity of the state tax system. She calls on the Governor to further these objectives by making it clear that no third-party seller will be accountable for prospective or retroactive sales tax as a result of selling goods using an online retail marketplace. At this point, it remains to be seen how California will proceed, as well as whether other states will follow suit. If your business is active in the e-commerce space, you should carefully monitor this situation to see whether California’s actions could affect your business. If you receive a notice threatening audits or legal penalties from the CDTFA, or a similar state authority, you should immediately contact an attorney who knows how to navigate these issues and who can properly advise you regarding your situation, such as the lawyers at The Lynch Law Group. Mike Oliverio leads the Firm’s Litigation and Regulatory Practice Groups. He can be reached at (724) 776-8000 or moliverio@lynchlaw-group.com for more information on this topic. This entry was posted in Legal Watch, Regulatory. Bookmark the permalink.